It takes teamwork to create a healthy, confident smile. 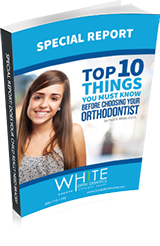 Every member of the team at White Orthodontics shares in Dr. White’s dedication to provide great customer service and orthodontic treatment that goes beyond straight teeth. Some members of our team have been here for over 20 years, bringing their long-term enthusiasm so you get the most effective treatment and care that orthodontics has to offer. Every member of the team participates in extensive, ongoing training so they are always up-to-date on the most advanced treatment options for orthodontics. We want to provide you with the best orthodontic experience possible. Our orthodontics office in the Richmond, VA area is conveniently located. 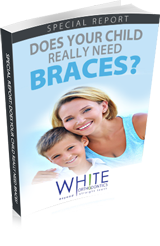 To experience the transformative smile results our professional, caring orthodontics team can provide, schedule your complimentary, no-obligation consultation for braces with White Orthodontics today!